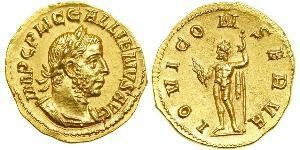 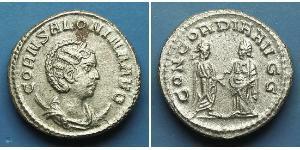 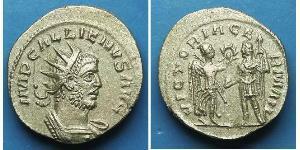 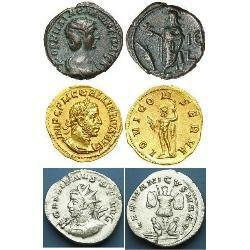 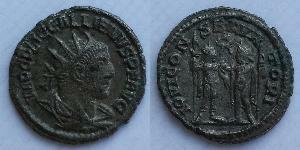 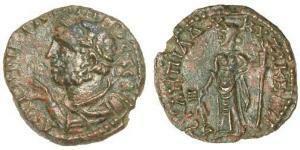 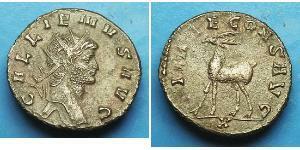 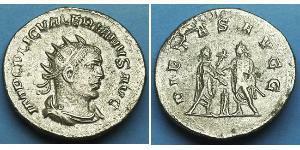 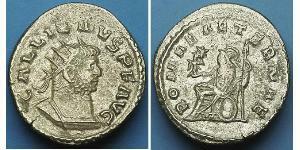 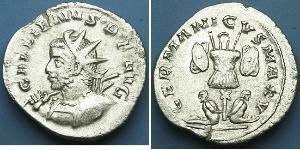 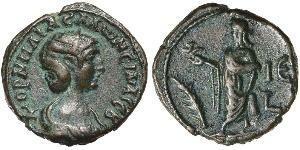 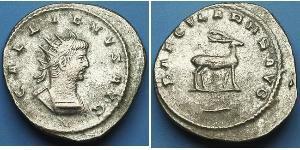 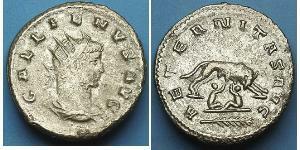 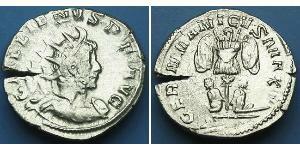 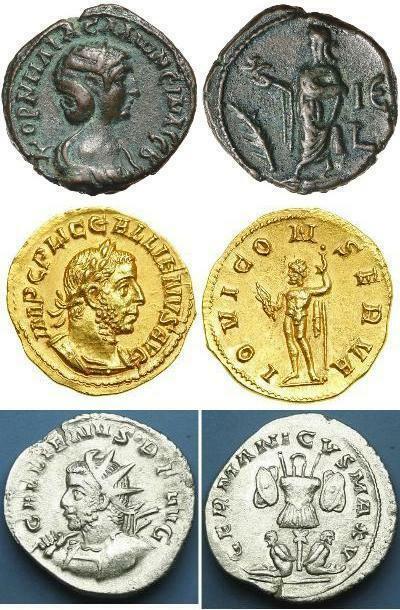 Gallienus (218 – 268) was Roman Emperor with his father Valerian from 253 to 260 and alone from 260 to 268. 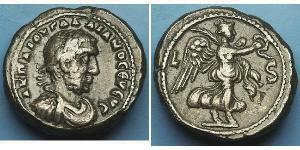 He ruled during the Crisis of the Third Century that nearly caused the collapse of the empire. 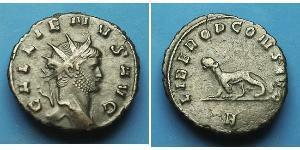 While he won a number of military victories, he was unable to prevent the secession of important provinces.